A late red card to Keanu Baccus, a missed penalty from Oriol Riera and some lackadaisical defence combined to see the Wanderers lose 2-3 to Adelaide United. Requiring a win to finish 6th and play in the final series, instead the Wanderers finished 7th and saw their season end at fulltime. The quest for 6th started so well in the 15th minute, Adelaide keeper Paul Izzo got in a right tangle as he spilled a long-range shot into the path of Riera, then scrambled into the path of the striker and cut him down. Riera stepped up and slotted it into the bottom corner past the desperate dive of Izzo. That lead lasted bare minutes. Clisby & Hamill were caught square & far up the park, standing on half way when a long bomb from the Adelaide backline flew over Clisby's foot and into the path of Baba Diawara. He had Hamill beaten for pace and finished smartly with the outside of his right foot past Vedran Janjetovic. The topsy-turvey game continued with Adelaide taking a 2-1 lead in the 38th minute. Nathan Konstandopoulos weaved into the penalty area and had a shot blocked by the defence, only to roll into the path of midfielder Daniel Adlung, he ran onto the ball with a sweet left foot strike that curled into the top corner. Just like the Wanderers lead earlier, Adelaide's lead was erased in quick time. Raul Llorente strode onto a ball down the left flank and delivered a first time cross into the center, it passed over Riera but Marcelo Carrusca rose into the air and nodded the ball home. Only 3 minutes later the Wanderers were going to the penalty spot again. The referee missed a blatant penalty on Chris Ikonomidis, but the VAR intervened after a short delay. Once again Riera stepped up to face Izzo from 12 yards, Riera went the other way and Izzo had guessed correctly, turning the ball around the post for a corner. On the hour mark the Wanderers hopes of playing in the finals drastically went down. Keanu Baccus & Johann Absalonsen tangled together while fighting for the ball, as they both fell to the turf and got up, Absalonsen stood up then went down like he was shot. After a break in play the VAR intervened, with Baccus called out and red carded for a kick out action. Josep Gombau threw players forward looking for an unlikely winner, turning to a 3 man defensive line with Santalab & Riera up front, but the low hopes were extinguished 10 minutes from full time as Adelaide went on the counter. Sweeping down the right flank through Nikola Mileusnic, his cross evaded both Llorente and Hamill, and Josh Risdon at the back post was completely beaten for pace by Ryan Kitto and he slammed the ball past the despairing dive for Janjetovic. Finishing 7th is an abysmal result for the Wanderers. It is absolutely not good enough. There is no singular person who is at fault for the result tonight nor the season as a whole. It is a collective failure, a cascade of heartless players, ill disciplined players both on and off the field, inept players who have been paid for too much for what they delivered this season and a coaching structure that imploded early in the season, Gombau's desire to setup his possession first philosophy with defense as an afterthought and poor recruitment from Tony Popovic before his exit at the start of the season. The men who own this club have some searing questions to answer to fix the major problems that plague the Wanderers this year both on field and off the field. The RBB situation is a farce and must be fixed before the start of the new season. 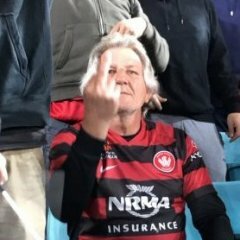 The club staff had their big "We're in charge" banning the RBB moment, now it is time to swallow your pride and start talking with the people to resolve the situation. Spotless Stadium and it's ridiculous security apparatus that poisons the goodwill atmosphere by threats of arrests & bans against paying customers and as seen recently, club staff should not be tolerated by John Tsatsimas and the rest of the executive office at the Wanderers. Next season is the last before our new stadium. It would be a horrible shame if we go into our new stadium without the vibrant supporter culture that involved all membership groups at the club and another year of failure on the pitch to go along with it. We didn't boycott. We just put in the same effort as this lacklustre team has been doing all season. If Pep gets the gum (by) boot and Popa returns like the Messiah and starts next campaign in charge it will be like this season was just a bad dream. Hahaha Popa still gets some blame, quality work mack. This group of players were easily good enough to make the finals, easily. Most expensive squad assembled by any team as at the beginning of this season. We need more players like Thwaite and Roly. Does the number of beers consumed have an inverse effect on the number of full stops you use when posting?? You don't believe Popovic should even get a portion of the blame for his recruitment? This squad clearly weren't good enough to easily make the finals because they didn't even make the finals in a difficult fashion. All they had to do was win tonight at home, against a team with pretty much nothing to play for, who were missing an important player because of suspension concerns, a team that were only 3 points ahead of WSW on the table. Lost 3-2. And we only have Gombau because Popovic quit a week before the season started. Eu vejo sendo um defensor do céu azul fez você em um idiota detestável. Absolutely, that GROUP Of PLAYERS were easily good enough, easily better than Brisbanes, that's for certain. The qualifying factor is staff, we seem to have fallen well short there this season. From JT to Gombau. I really like Gombau, seems like a top bloke. Is he the man to lead the Wanderers? I really hope so cos I like the guy. Yes the group of players was good enough but Gombau from day 1 refused to use the strengths of the squad: defense and crossing. Instead, he threw both away and insisted on passing at feet and play out from the back Postecoglou style. As far as I'm concerned Gombau doesn't understand our Club and doesn't deserve one more day with us. That said i don't eant Okon as a headcoach. Seriously, see a doctor. You have a problem. Was that before Popa left? 5 and half months gombau has had included in that a January transfer window, in which rather than strengthen the defence he bins his best defender and doesn’t replace him. When things aren’t working in a game we don’t learn we keep doing the same thing. What is the point in paying gombau, if our position was set six months ago when the squad was built? After listening to Gambou's press conference, I now fully understand that all this was part of the project....and in fact it wasn't far off from what he planned for ....wanted top 6 and got 7th. Chin up guys next year we aim for 5th. Just quietly, I'm absolutely glad the season is over. It's a shame to say that. I watched some of gumby's press conference and he really does think that he is on track and the 'project' is going well. I actually don't blame him as much as I blame the management of the club. - corny and thwaite are solid experienced centrebacks but you have to play a deep line with them so they can keep things in front of them. If you do that they (especially corny as shown last season) can be very effective. - baccus sr was coming off a really good season but he likes to play directly. he gets the ball and looks to play or dribble forward. So knowing all of this the club selects a manager who they KNOW is going to stick rigidly to HIS philosophy not what the club's philosophy is or what would suit the players. So what does he do? Then when senior players (like corny, baccus and riera) question the approach. they are dealt with in an inconsistent, haphazard way. it must be said here that the players did some stupid **** as part of this. JT: We saw how you played at Adelaide Mr Gumby, how do you think Corny and Thwaite will cope with a high defensive line. Gumby: blah blah philosophy, blah blah project, blah blah exciting football. JT: You sir are a football genius, Please sign here. He should have never been allowed anywhere near our club. All that will keep some of us going til the new season is the WC...not that THAT will bring much joy I don't think. But ...we can dream, I guess. Two comment above at least did make me smile...your ironic last sentence -sigh - and the one referring to Josep doing a sideline run, which I too would like to see...as well as a slide on his knees! I really don't know what to think about whether he should get another season ...but if he does stay...dammit I do want to see that run, and a slide!! Fully suited up! I swear the knee slide the other year and all that carry on is the reason he got the job and why half of twitter seem to think he deserves to stay with his “own” team. Oh look he runs around, doing fist pumps, he talks about philosophy in a Spanish accent he must know what he is doing. Foxe got slaughtered by the same people for drawing too much and playing his subs a bit late. 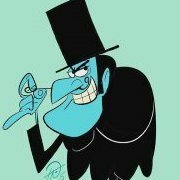 O teu portogues è Muito bom meu amigo, tambem Sydney do leste vai engasgar e vai ficar sempre gargantinho mesmo com a ajuda do FFA. I really don't know what to think about whether he should get another season with him...but if he does stay...dammit I do want to see that run, and a slide!! Fullly suited up! I lost respect for Gambou very early on. I could no believe that he uses the derby to demonstrate his authority. He showed full disregard to the all the fans and TBH it still didn't prove anything because he still didn't win the players respect. The club has a lot of work ahead and the coach is only one problem. More importantly they need to sort out SOP , over policing, active support. This is what is killing the club and it needs to be sorted out in the off season because we cannot go back to Parra in this state. People in here arguing about individual incidents in the last game of the season is the reason we came 7th. We were rubbish all season. We only beat 1 team in the top 6, once this season. That's it. Mediocrity at its finest. Don't deserve to make the "finals" and what was the point? to be knocked out in week 1 like what happens. Every. Single. Year. There are bigger issues at play here than Popa leaving a week before it started. Gombau has had plenty of time to get something going but his all or nothing approach at the beginning was to our detriment. Still, failing to beat anyone above us on the table is the reason we are where we are. Its as simple as that. Also...a lack of complete knowledge on defending and conceding $hit load of goals every week unless we were playing Nix or CCM. I’d hope we sort the manager situation out first. When does "WSW Failure: The John Tsatsimas years." thread open? This absolute bellend needs to go. His stewardship. His responsibility. His abject failure. he was dreadful, did he even break into a jog?